February 5, 2019 768 × 1024 Mon, Feb 11-Wed, Feb 13: National Salute to Veterans Week! 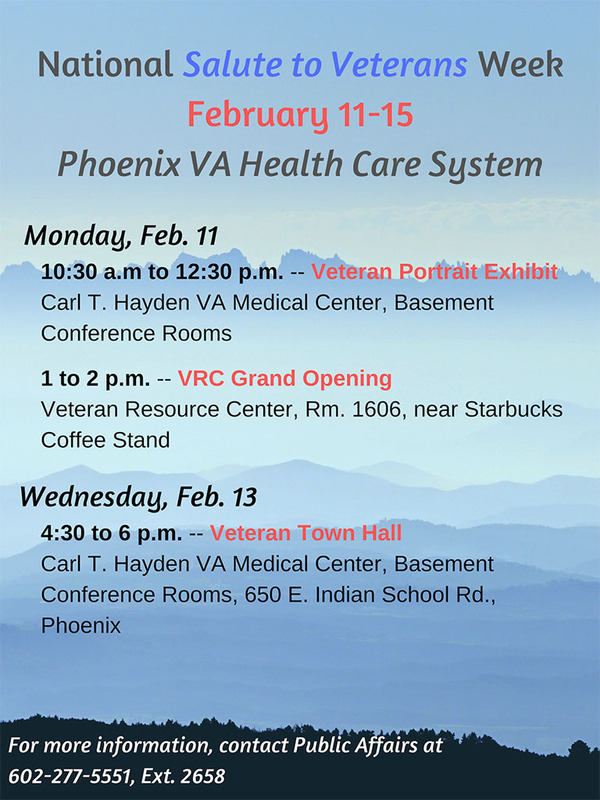 Events at the Phoenix VA! !